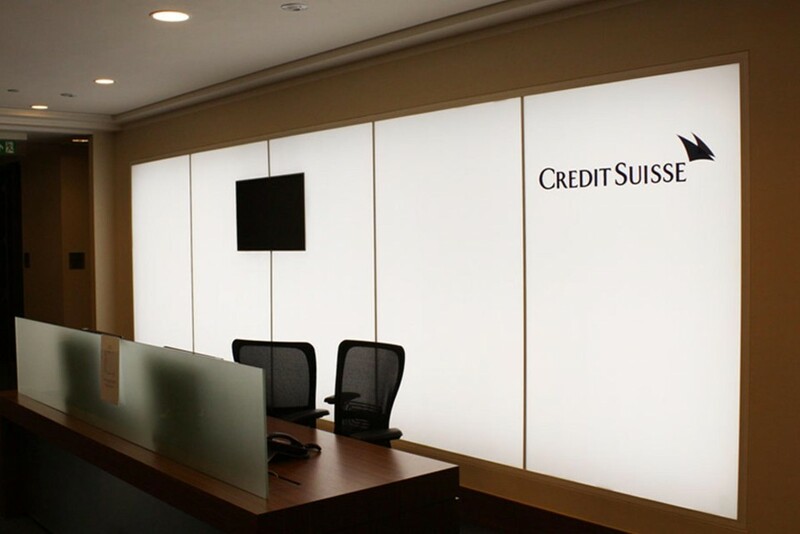 When Credit Suisse wanted to make a new feature wall in their main reception area they chose Bright Green Matrix for a new LED backlit wall. When considering what lighting to put in this large architectural feature the installer was aware that, if it gave off too much heat, it would make the reception area too hot. 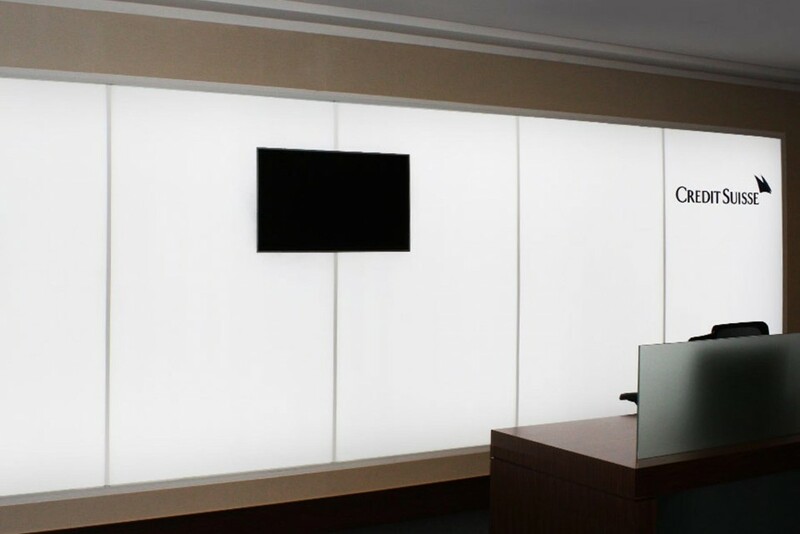 As the wall would be constructed of a large piece of frosted glass the right lighting was critical to avoid striping and made LED backlighting an obvious choice.